The former owner of a boarding school who was jailed for 20 months following accusations he assaulted pupils has been cleared. 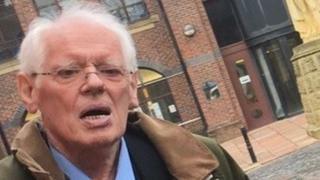 Derrick Cooper, 78, of the Isle of Man, was convicted in April of causing actual bodily harm and child cruelty at Underley Hall near Kirkby Lonsdale. But the Appeal Court overturned his conviction at Carlisle Crown Court. Judges said jurors may have misunderstood what Mr Cooper would have had to have done to be guilty. Lord Justice Davis said the cruelty charge alleged that a child had been subjected to "assault and humiliation". But the way it was described to jurors meant they might have believed only humiliation was necessary for a guilty verdict, he said. The judge said the assault conviction was also unsafe because it might have been partly based on the unsafe conviction for cruelty. The Appeal Court in London heard Mr Cooper, of Hillberry Green, Douglas, had faced seven charges of assault and two of child cruelty. However, much of the case against him was rejected by the jury and he was found guilty of only two offences. The judge said the Crown Prosecution Service has not sought a retrial. The allegations dated back to the 1970s and 80s when Mr Cooper ran Underley Hall. One boy claimed to have been headbutted, while another spoke of being attacked and humiliated by being made to dress in a towel. Mr Cooper had denied any wrongdoing and has now been completely cleared.